With approximately 2 million square feet of commercial and multifamily real estate under our capable management, J Street provides both the efficiencies of a full service company with a strong local presence and the ability to be nimble and responsive to the specific requirements of our clients’ properties. Our ownership structure and local focus distinguishes us from the competition. The firm’s entrepreneurial culture supports ingenuity, resourcefulness, innovation and responsiveness. At J Street, we believe that informed clients make the best decisions and we have made market research and intelligent data interpretation a top priority. Our accounting and financial reporting systems are among the best in the industry and our communication vehicles are unparalleled. Over the years, J Street clients have come to rely on our quarterly market reports. This information enables us to focus on the details that consistently lead to management and leasing strategies which produce results—and lasting, tangible value. Most importantly, J Street is committed to the long-term success of its clients. 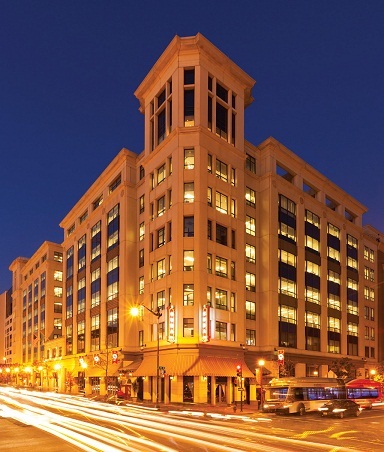 Over the past few years, J Street's multifamily capabilities have grown to include on-site management, maintenance, marketing and leasing services for more than 4,500 apartment homes and for a number of residential condominium associations in Washington, DC and Texas. Click here to be added to our commercial real estate email list. For a complete list of our property management personnel, click here.